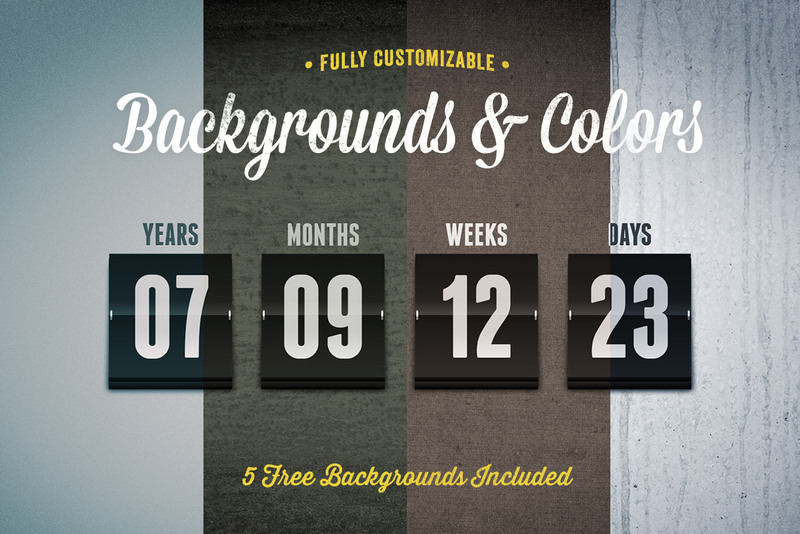 This Photoshop timer template makes it simple to create eye-catching countdowns in minutes. It includes 5 backgrounds, editable lighting effects, multiple toning styles, and can be customized completely. 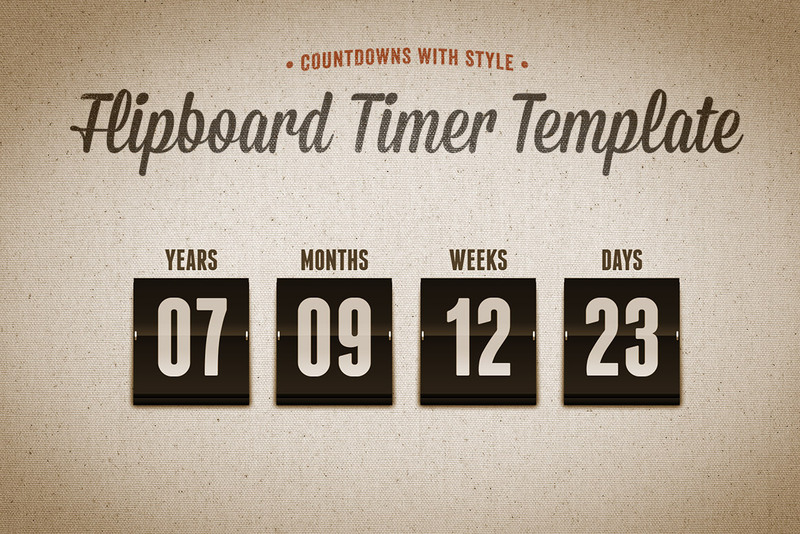 Grab this flipboard countdown timer template before time runs out.